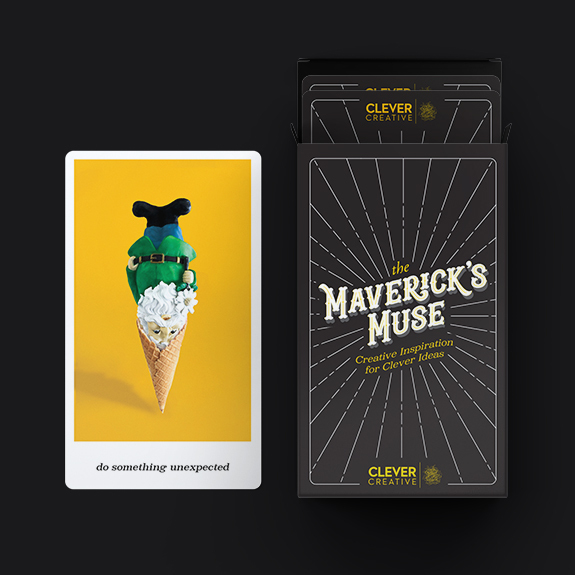 More than a deck of cards, The Maverick’s Muse is a tool designed by Clever Creative to help guide and inspire individuals and teams as they embark on the eye-opening journey that is creative brainstorming. Whether you’re in need of a big idea or looking to shake things up at the office, like a compass, these cards are here to help navigate you. 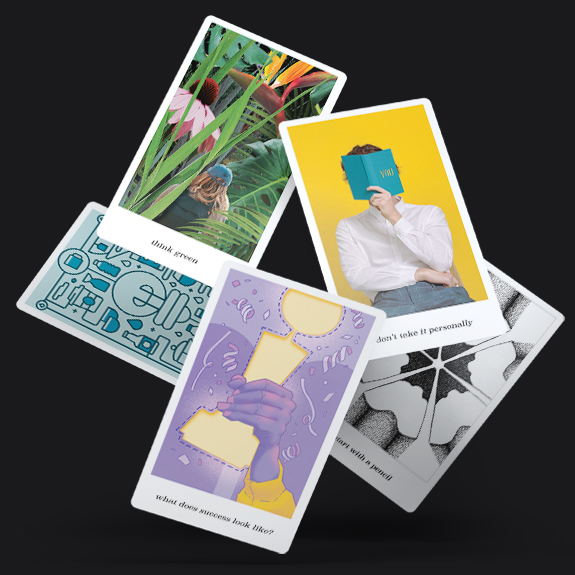 We had a wonderful time developing these cards, giving our team the chance to showcase their individual talents and styles through custom illustrations and copy. Consult The Maverick’s Muse and forge your own innovative and artistic path to success.